Celebrate the Christmas Spirit with these beautiful earrings. 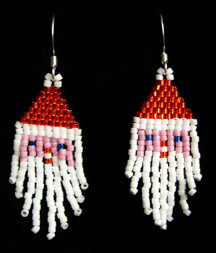 They are hand beaded, and are appx. 1 1/2" long with French hooks for pierced ears.